2.1 What is LIFE Nature and Biodiversity? - improving the knowledge base for the development, implementation, assessment, monitoring and evaluation of EU nature and biodiversity policy and legislation, and for assessing and monitoring factors, pressures and responses that impact on nature and biodiversity. (iii) Integrated approaches for the implementation of prioritised action frameworks. (ii) Activities aimed at contributing to the achievement of Targets 313, 414 and 515. Thus LIFE Nature relates specifically to the objectives of the Birds and Habitats Directives, while LIFE Biodiversity is not restricted to the objectives of the Birds and Habitats Directives, but supports the broader implementation of the Union Biodiversity Strategy to 2020. A nature conservation project that targets exclusively species/habitats of the Birds / Habitats Directives should normally be submitted as a LIFE Nature project. Other projects are more likely to fit better within the requirements of LIFE Biodiversity (N.B. Proposals submitted under NAT or BIO will be evaluated accordingly, no reclassification will be possible). network and maintaining or enhancing ecosystem services (like flood protection, improving water quality etc.) through nature conservation activities resulting in the preservation or enhancement of these functions for a site or for the whole network in a region. LIFE Biodiversity addresses targets 2 to 5 of the Union Biodiversity Strategy to 2020. The most appropriate LIFE Biodiversity projects use innovation, or explore sectors and processes that have not been the target of classic LIFE Nature projects. Applicants should carefully read the project topics for LIFE Biodiversity to understand for which themes best practice would be relevant. LIFE Nature and LIFE Biodiversity projects should be primarily focussed on nature conservation and/or on halting the loss of biodiversity and the degradation of ecosystem services. A project that may have a positive but secondary impact on nature and biodiversity and whose main objective is in relation to another environmental thematic priority (e.g. water) should not be submitted under LIFE Nature and Biodiversity. Please refer to the documents 'LIFE Environment and Resource Efficiency, Guidelines for applicants 2019' and 'LIFE Orientation Document'. A project on nature conservation and/or on halting the loss of biodiversity and the degradation of ecosystem services that essentially consists of targeting awareness raising campaigns should be submitted under LIFE Environmental Governance and Information. Only wild flora and fauna and natural and semi-natural habitats may be targeted by LIFE Nature & Biodiversity projects. Projects, or actions within projects that target the conservation of domestic species or varieties of plants or animals are not eligible. heavily shaped nature and landscape, there are still some significant examples of wilderness or close to wilderness areas. The Commission published the Guidelines for management of wilderness in Natura 200016 showing that a special attention should be dedicated to these precious areas. In the European context, and the Natura 2000 network in particular, it is important to notice that there is a spectrum of more or less wild areas according to the intensity of human intervention. In that sense, wilderness is a relative concept which can be measured along a ‘continuum’, with wilderness at one end and marginal used land at the other. Re-wilding is a process to move areas up towards a wilder state, where the final stage is wilderness. This process is based on using natural processes for establishing sustainable and cost-effective management systems of Natura 2000 sites as a way to avoid recurring management activities. Applicants may consider this approach whenever the conditions would indicate this could be the most cost-effective approach to ensure the favourable conservation status of habitats and species. This would clearly not be a substitute to best practices currently used, but could be tested as a complementary way of biodiversity conservation for species and habitats identified in the Habitats and Birds Directives. Where relevant, applicants are invited to consider the guidelines mentioned above when preparing their proposals. Natura 2000 is the largest network of protected areas in the world. Much of the network is privately owned. Making Natura2000 a success will only be possible through a wider active involvement of private owners and land users. This issue has been analysed in two documents17 that provide detailed information on private land conservation in the EU comparing it to similar initiatives in other parts of the world. Private land conservation is now one of the actions in the Action Plan for Nature, People and Economy18. Two LIFE Preparatory Projects19 have been financed and aim at further developing private land conservation initiatives and at setting up the European Land Conservation Network. Applicants are invited to also consider private land conservation in their project design and to take stock of the experience and knowledge available. Coordination with the preparatory projects mentioned before should also be considered whenever relevant. More than a half of bird and fish species listed in the Directives has been already considered in LIFE projects in the past. On the other hand, there is a large number of species among invertebrates, reptiles or vascular plants that have been widely unaddressed in projects so far. In this context the applicants are invited to consider the recommendation of 2018 LIFE Platform meeting on Invertebrates which concluded that invertebrates were still not well represented in LIFE programme. It is recommended that such projects focus on habitat quality for the targeted species and on habitat connectivity in specific cases. In addition, these projects should always focus on improving public perception of invertebrates and communicate the importance of invertebrates for biodiversity and in terms of their functional role (e.g. pollination). LIFE Nature projects aim to support the further development, implementation and management of the Natura 2000 network in particular by applying, developing, testing and demonstrating approaches, best practices and solutions. Projects should be designed to provide EU added value in terms of coverage, conservation benefit, replicability, transferability and transnational scope. With an area that is currently covering almost 18% of the terrestrial surface of the EU Member States, plus over 217,000 square kilometres of marine area, Natura 2000 is the central backbone for biodiversity in the European Union. However, even within the Natura 2000 network, a substantial part of flora, fauna and natural habitat types of Union interest, as defined by the EU Birds and Habitats Directives, is still in an unfavourable conservation status. Natura 2000 is also at the heart of Europe's Green Infrastructure, providing benefits through multiple ecosystem services. For the years to come, projects for improving the management and/or for restoring sites of the Natura 2000 network will therefore remain the first priority for LIFE Nature funding. The species and habitats targeted in LIFE Nature projects must be listed in the annexes of the EU Birds (2009/147/EC) and Habitats Directives (92/43/EEC). LIFE Nature projects are usually focussed on concrete conservation measures and are result-oriented, i.e. their implementation must lead to direct and sustainable improvements of the conservation status of species and habitats for which sites are proposed or designated.  Bird species targeted by site-based actions must be listed in Annex I of the Birds Directive or be regularly occurring migratory bird species.  Any habitat types / species other than bird species targeted must be listed in Annexes I or II of the Habitats Directive. Site-based actions for Annex IV species not listed in Annex II may be possible under certain conditions (see section 2.4.3).  Bird species targeted must be listed in Annex I or II of the Birds Directive or be regularly occurring migratory bird species.  Any species other than bird species targeted must be listed in Annexes II, IV and/or V of the Habitats Directive. LIFE Nature projects must take place on the terrestrial and/or marine territory of the EU Member States where the EU Birds and Habitats Directives apply20. However, specific actions outside the Union may be financed as long as the applicant provides full details on why such actions are necessary for the achievement of the EU environmental objectives and to ensure the effectiveness of interventions carried out in the Member State territories to which the Treaties apply. Transnational cooperation is encouraged where it improves the effectiveness of EU-added value of the project actions. 1. Improvement of the conservation status of habitat types or species of Community Interest21 under the EU Birds and Habitats directives, targeting Natura 2000 sites proposed or designated for these habitat types or species22. 2. Projects aimed at improving the conservation status of habitat types or species of Community Interest, provided, their status is not ‘favourable/secure and not declining’ or ‘unknown’ according to the most recent overall assessments that Member States have provided at the relevant geographic level according to Article 17 of the Habitats Directive or to the most recent assessments according to Article 12 Birds Directive and EU-level bird assessments. — demonstrative or innovative approaches to assess or monitor the impact of human activities on critical marine habitats and species and their application as a tool to guide concrete conservation measures. Applicants should clearly explain whether and why their proposal falls under maximum two of these project topics. This list does not exclude the possibility of submitting proposals for topics that are not listed above, but fall under the general remit and objectives of LIFE Nature. Note however that proposals that do not fall under the above project topics cannot receive points under the award criterion 5 'Contribution to the project topics' and are therefore less likely to be retained and financed than other eligible projects of comparable quality that are covered by one of the project topics. Be aware that in order to be considered as complying with one of the project topics, a proposal has to comply with the full list of requirements of the respective topic. Note that the maximum score (10) under award criterion 5 'Contribution to the project topics' will be awarded only to proposals that clearly and fully comply with at least one of the project topics; the indication of two project topics does not translate into higher scores. It is not possible to choose more than two project topics. By not choosing a project topic, the applicant declares that the proposal does not fulfil any of the project topics and acknowledges that no points can be awarded to the project under award criterion 5. Moreover, only the topics the applicant indicates will be considered. Whether or not the project possibly fits under some other topic that has not been marked will not be examined. 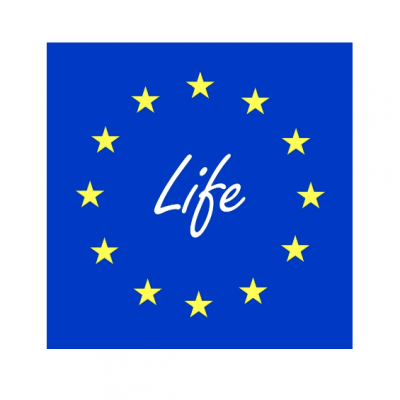 For further details see the "Guide for the evaluation of LIFE project proposals 2019". LIFE Biodiversity projects must contribute to implementing the EU Biodiversity Strategy to 2020 targets and actions, with a view to achieving the objectives of the 2020 headline target of "halting the loss of biodiversity and the degradation of ecosystem services in the EU by 2020, and restoring them in so far as feasible, while stepping up the EU contribution to averting global biodiversity loss", other than those already covered by LIFE Nature. LIFE Biodiversity projects must be compatible with national and/or regional strategies for biodiversity (where these exist). If projects implementing Targets 2, 3, 4 and/or 5 of the Biodiversity Strategy to 2020 take place (even partly) in Natura 2000 sites, the measures proposed must be in line with the site's conservation objectives, the site's management plan or equivalent instruments and/or the Special Areas of Conservation (SAC) designation act. LIFE Biodiversity projects generally take place on the terrestrial and/or marine territory of the EU Member States. This includes the French Overseas Departments (DOMs). However, actions outside the Union (including OCTs) may be financed as long as the applicant provides full details on why such actions are necessary for the achievement of the EU environmental objectives (e.g. actions to support the EU Biodiversity Strategy) and to ensure the effectiveness of interventions carried out in the Member State territories to which the Treaties apply. Development and application of Green Infrastructure-related widely replicable methods and/or techniques that effectively mitigate the negative impacts of energy or transport infrastructure on biodiversity by enhancing connectivity. These techniques and/or methods should be more cost-effective than qualitatively equivalent solutions already offered on the market, and, where relevant, lead to free shared solutions or the development of technical standards. 2. Development and application of tools aimed at integrating biodiversity into financial and business decisions so as to ensure, through the conservation and restoration of biodiversity carried out during the project, no net loss of biodiversity and/or enhanced income delivering ecosystem services25. 3. Targeting threatened species or habitats that are not included in the annexes of the Habitats Directive but have a status of ‘endangered’ or worse in the European species26 or habitats27 Red Lists or, for those species not covered by the European Red Lists, in the IUCN Red List28. — eradicating, controlling or containing established invasive alien species. The projects should be set up to improve existing — or introduce new — technical, administrative and/or legal frameworks on the relevant level, in particular in relation to, but not limited to, the species included on the list of invasive alien species of Union concern pursuant to Article 4(1) of the Regulation (EU) No 1143/2014 of the European Parliament and of the Council30. Explanatory note: where a step has already been addressed independently of the project or it is not possible to address it in the project context, the project actions shall at least be clearly situated in a broader framework that links all three steps. LIFE projects targeting Invasive Alien Species are encouraged to share their results and data with the official information system supporting the implementation of the Regulation 1143/2014, i.e. the European Alien Species Information Network31. This list does not exclude the possibility of submitting proposals for topics that are not listed above, but falling under the general remit and objectives of LIFE Biodiversity. Note however that proposals that do not fall under these project topics will not receive points under the award criterion 5 'Contribution to the project topics' and are therefore unlikely to receive high overall scores. Be aware that in order to be considered as complying with one of the project topics, a proposal has to comply with the full list of requirements of the respective topic. Note that the maximum score (10) under award criterion 5 'Contribution to the project topics' will be awarded only to proposals that clearly and fully comply with the project topic chosen. It is not possible to choose more than two project topics. By not choosing a project topic, the applicant declares that the proposal does not fulfil any of the project topics and acknowledges that no points can be awarded to the project under award criterion 5. Moreover, only the topics the applicant indicates will be considered. Whether or not the project possibly fits under some other topic that has not been marked will not be examined. For details see the "Guide for the evaluation of LIFE project proposals 2019. 2.4 How to conceive a LIFE Nature or LIFE Biodiversity project proposal? Projects are expected to be set up in such a way to ensure that potentially the key project actions are replicable or transferable and to pave the way for the actual replication or transfer of the solutions proposed, at the latest after the end of the project. Note that the potential to replicate or transfer project solutions elsewhere go beyond dissemination, transfer of knowledge, and networking. Please refer to sections 2.4.3 and 3.2.4 for more details on the type and description of the project actions. At least 25% of the total eligible budget of a LIFE Nature or LIFE Biodiversity project must concern "concrete conservation" actions. It is strongly advised that LIFE Nature and LIFE Biodiversity projects include significantly more than 25% concrete conservation actions (CCAs). During the evaluation of the proposal, certain actions may be considered ineligible and removed from the project. Furthermore the applicant may consider certain actions to be concrete, whereas the selection team may not (e.g. actions related to inventories, management guides, monitoring, stakeholder communication, etc are not considered a concrete action). If the percentage of concrete actions falls under 25%, the whole project may be rejected for that reason. Project actions for concrete conservation must be clearly identifiable as such. They must be 100% concrete conservation and not a mix of concrete conservation with other activities, unless the budget allocated to the sub-actions is clearly identifiable. What are concrete conservation actions? In this context, "concrete conservation" actions are those that directly improve (or slow/halt/reverse the decline of) the conservation status / ecological condition of the species, habitats, ecosystems or ecosystem services targeted. Preparatory actions (e.g. planning and preparation of the concrete conservation actions) and land purchase / lease / compensation payments count towards this 25% insofar as they are directly necessary for the execution of concrete actions during the project's lifetime. Monitoring of reintroduced species will only be considered as concrete conservation if the monitoring can re-direct the course of the reintroduction action. - the beneficiaries commit themselves to continue maintaining and applying the mechanisms and measures developed for a period of at least 3 years after the project end. Legal protection will only be considered as concrete conservation if it is fully achieved within the project duration. e) this change is explicitly monitored by the project to check the results. Visitor management actions (e.g. fences, trails) will only be considered as concrete conservation actions if the proposal can show that the visitors already directly have a negative impact on the conservation status of the habitats/species targeted.  Marine site designation projects: Projects for inventories and planning for the designation of new marine offshore Natura 2000 sites (either offshore or in territorial waters) or their extension do not need to include concrete conservation actions (for a definition of the term "offshore" within the context of Natura 2000 marine sites please refer to page 7 and to section 2.6 of the document "Guidelines for the establishment of the Natura 2000 network in the marine environment" - http://ec.europa.eu/environment/nature/natura2000/marine/docs/marine_guidelines.p df). Any such proposal must, however, include a commitment from the Competent Ministry/Authority to designate the site(s) concerned as Natura 2000 sites before the end of the project and the Competent Authority must be a beneficiary of the project (coordinating or associated beneficiary). The designation of the site must be the subject of a specific action in the project, with the Competent Authority responsible for its implementation.  Article 11 projects: LIFE Nature projects for the support and/or the further development of the surveillance of the conservation status of natural habitats and species covered by the Birds and Habitats Directives (in the sense of Article 11 of the Habitats Directive) do not have to include concrete conservation actions. In any such cases, the Competent Authority in charge of the Article 11 monitoring must be a beneficiary of the project (coordinating or associated beneficiary). Proposals for routine monitoring or for merely local improvement in monitoring will not be considered as qualifying for this exception. A recurrent management action is an action that needs to be carried out periodically (at least annually) in order to maintain the conservation status of a species, habitat, or ecosystem. In line with the general rule about ongoing actions (see section 1.6.12), ongoing recurrent actions are generally ineligible. For example, any site surveillance, periodic mowing or long- term monitoring actions, which were ongoing already before the start of the project, is generally ineligible. New recurrent actions are, in principle, eligible for funding in LIFE Nature and LIFE Biodiversity projects. In particular recurring actions with a clear pilot demonstration value may be considered as eligible for funding. However, projects foreseeing recurring actions must sufficiently demonstrate the long term sustainability and European added value of the proposed action. The applicant must therefore explicitly undertake that the project beneficiaries will continue after the project's end any recurrent actions started and carried out during the project, and explain how this continuation will be financed. The implementation of this commitment will be checked at the time of the final payment, when the Contracting Authority will verify that the recurring actions are still being undertaken at the required periodicity, or that all administrative and budgetary conditions are fulfilled to ensure their continuation at the appropriate time. If there is no such assurance that the recurrent action will be continued after the end of the project, all related costs will be ineligible.  Project management and progress (F Actions). As a general principle, all preparatory actions must produce practical recommendations and/or information that can be implemented and be used without requiring further preparatory work. Furthermore, where exceptionally preparatory actions do not lead to direct implementation during the project, the proposal must provide a sufficient set of explanations, commitments and guarantees to show that their full implementation after the project is effectively ensured. Most projects include preparatory actions.  not be inventories of new or existing Natura 2000 sites (except for new offshore marine sites).  Preliminary studies required to improve the integrity and connectivity of the Natura 2000 network. Where management plans, action plans, strategies or other similar plans are drafted or modified in the framework of a LIFE Nature or LIFE Biodiversity project, they must become legally operational before the end of the project. Therefore, in those Member States where a procedure for their legal adoption and/or approval exists, this procedure must be completed before the end of the project, otherwise, the related expenses will be ineligible. Applicants are therefore advised not to include actions to develop such plans unless they are certain that they will be legally operational before the end of the project. The applicant should include a timetable showing how and when the plans developed will become legally operational. Note: Short term lease and/or compensation payments can only be eligible for funding if they serve for demonstration of pilot actions – see below. For the exception to be valid, it must be explicitly foreseen in the project and beneficiaries must demonstrate that it is the only cost-effective solution to reach the objectives of the project. Moreover, it is recommended that local authorities re-invest the income from such payments into conservation or public awareness-raising measures for Natura 2000 network or the Biodiversity Strategy. Those proposals which include a commitment from the local authorities in question to do so will be considered for a higher scoring on EU added value in the project evaluation process and may therefore have a higher chance of being selected for co-funding. The eligibility of any costs for land purchase is subject to the conditions listed below. The applicant must address each of these conditions in his proposal, explaining how each condition is met or will be met during the project. (i) The land purchase must be clearly related to the objectives of the project. integrity of the Natura 2000 network. (iv) The land purchased is reserved in the long-term for uses consistent with the objectives set out in Article 11 of the LIFE Regulation, through the most appropriate form of legal protection. (v) The beneficiaries must ensure that the sales contract / notary act and/or entry in the land register includes a guarantee that the land is assigned definitively (without time limitation) to nature conservation purposes. Where both possibilities exist (sales contract and land registry entry), the beneficiaries must use the option that offers the strongest long-term protection. Note that at the latest with the final report, the beneficiaries will have to submit a copy of the sales contract and/or entry in the land register including the above mentioned guarantee. Should they fail to provide such documents, the corresponding land purchase costs and associated costs will be considered ineligible. For countries where it would be illegal to include such a guarantee in both the land register and in the sale contract, the Contracting Authority may accept an equivalent guarantee, provided it offers the same legal level of protection in the long term. (vi) The land must be purchased by one of the project beneficiaries who is either a well- established private organisation (e.g. nature conservation NGO or other) or a public body with nature conservation responsibility, and must remain in its ownership after the end of the project. (vii) The proposal must demonstrate that each beneficiary that will carry out land purchase has the necessary competence and experience in land purchase for nature conservation, and that the planned target is realistic within the time framework of the project. (viii) If the purchasing body is a private organisation, its statutes must include a provision that, in case of dissolution, the land will be transferred to another legal body primarily active in the field of nature conservation (e.g. another conservation NGO or appropriate public body). (ix) Evidence must be provided in the proposal that the purchase price is consistent with the current market prices for the type of land and the region concerned. (x) Evidence must be provided that the land purchased was not owned by a public authority in the 24 months prior to the project application date. (xi) Land purchased must be the subject, during the project, of specific restoration and/or active management or restrictions of use that go beyond legal obligations and existing restrictions that could not be imposed without purchasing the land. The purchase of land that is in excellent conservation status (i.e. that requires no restoration or specific management or restrictions of use) is only eligible if strategic to the objectives of the project. The same conditions listed above apply, as and where appropriate, to these types of payments. The applicant must address each of these conditions in the proposal, explaining how each condition is met or will be met during the project. The duration of a lease must be sufficient to guarantee the durability of the conservation investment (e.g. 20 years or longer). See also the General Conditions of the Model LIFE Grant Agreement. Conservation actions must aim to directly improve (or slow/halt/reverse the decline of) the conservation status / ecological condition of the species, habitats, ecosystems or ecosystem services targeted. Their impact must be measurable and must be monitored and evaluated during the project. The maintenance of the investments made through these actions must be ensured in the long-term after the end of the project. Amongst others, where actions take place on land that does not belong to any of the beneficiaries, they must establish a convention with the owner in which he/she commits not to take any action that would compromise the investments/restoration made by the project. This convention must be for a suitably long period (ideally 20 years or longer). The establishment of these conventions must appear explicitly in the description of the relevant action(s) and in the "expected results" section. For the purpose of these guidelines site-based conservation actions are distinguished from species (non-site) related actions. Site-based actions are land-based actions carried out on a specific site, while non-site related actions are independent of a specific site. Nevertheless, some species-oriented conservation actions like reintroduction and translocation (see point d below) also have site-based elements. For LIFE Nature projects, actions targeting bird species must take place within SPAs, actions targeting habitats or species of the Habitat Directives must take place within pSCIs/SCIs/SACs. For LIFE Nature projects, site-based conservation actions generally take place within existing designated Natura 2000 sites. LIFE Biodiversity projects may also include actions inside Natura 2000 sites. For each Natura 2000 site targeted, the applicant should provide a general description and (in annex) a map of the site, indicating where each action is planned to take place. The project area will be the whole of the Natura 2000 site(s) targeted by the project (it is thus unnecessary to further delimit a project area within the Natura 2000 site, unless there are specific reasons for doing so). Applicants are advised to check that the perimeters on their maps correspond to those on the EU Natura 2000 viewer available to the public (http://natura2000.eea.europa.eu). (iii) The national Natura 2000 network of sites is considered as sufficient for the species/habitats targeted by the project. (ii) In the proposal the applicant provides evidence that the future use and maintenance of the infrastructure is backed by an appropriate land use planning at the most relevant administrative level.